On Monday, June 30th 2014, the LSS/NCA Baltimore office welcomed Mr. Charles Nolan Wietcher from MJ Morgan Group as an employment services volunteer. 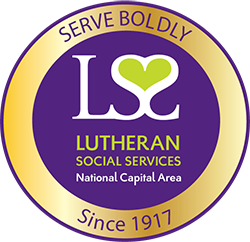 MJ Morgan Group has been a very strong employment partner since 2011 and has decided to send a volunteer twice a month to our Baltimore location to be more involved with LSS/NCA efforts. These bi-monthly volunteers will be contacting clients about available jobs throughout our community, speaking to other potential employers about job retention and the benefits of hiring a refugee, and conducting mock interviews to help refugees prepare for the American workforce. 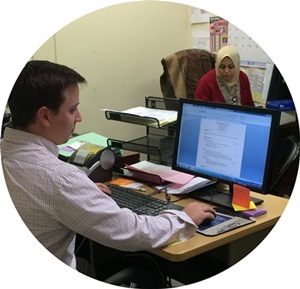 To learn more about becoming a refugee employer, please explore our webpage or fill out our employer interest form for a one on one conversation with one of our employment advocates.